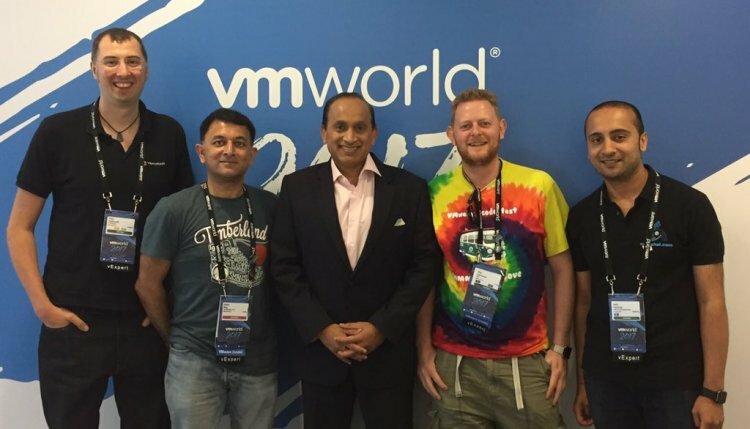 On day two of VMworld Barcelona 2017, our team of intrepid podcasters were able to catch up with Chief Operating Officer of Customer Operations, Sanjay Poonen, for a chat about life, careers, cloud architecture, VMware strategy and the startup space! It was a great conversation and clear to see how passionate Sanjay is about the organisation, but more importantly, the people around him. 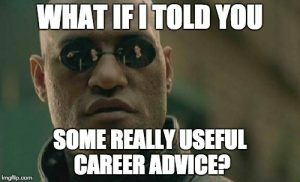 He ended the podcast with a few nuggets of career advice which I think are well worth taking on board for anyone, regardless of seniority or time in the industry. The episode is well worthwhile a listen for this alone! Once again, Kev, Ather, Amit and myself were there in person, with Gareth remotely dialled in from the UK via Zoom, albeit via a rather dodgy wifi connection at our end! We were fortunate enough to sit down with both Sanjay and Pat Gelsinger at the event (find interview post here!). It’s great to see senior leadership at as huge an organisation as VMware taking the time out of their insane conference schedules to involve themselves in community initiatives, such as the Open TechCast! 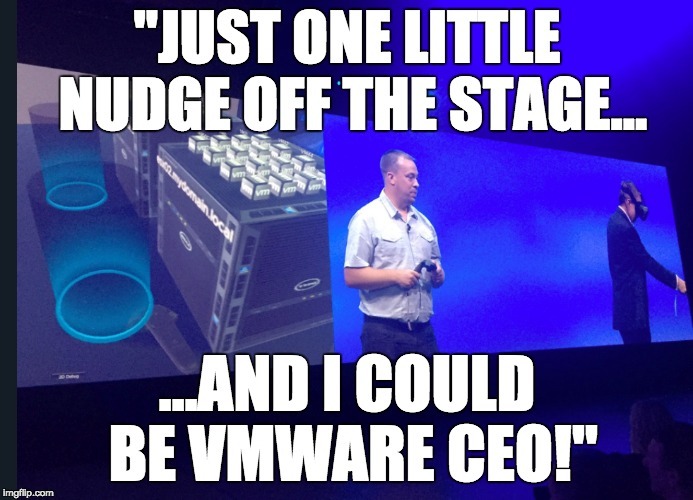 Community engagement is one thing I think VMware continues to do better than most organisations in the industry. It’s probably (at least in part) VMworld continues to attract larger audiences every year, even when other public cloud vendors are taking such large chunks of attention and market share. Finally, massive thanks again to Sanjay for taking the time to hang out with us! It was a blast! Make sure to subscribe to the show using your favourite pod-catcher of choice, and follow us at @OpenTechCast on Twitter, where we hope to continue our conversations well into the future! The title does kind of give it away, but the co-hosts of our humble little community podcast were fortunate to spend 40 minutes or so this week with VMware’s CEO, Pat Gelsinger. We discussed Pat’s journey into to VMware, the difficulties of maintaining a healthy work/life balance, gender equality in the workplace, the transition from traditional licensing models, the future of SDDC and much, much more! Needless to say, it’s been pretty difficult keeping this one under wraps, especially as we didn’t want to jinx it! Kev, Ather, Amit and myself were able to be there in person, but we also managed to dial in Gareth remotely from the UK via Zoom, for a full complement of co-hosts! 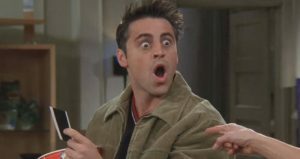 At one point in the show we happened to be discussing Moore’s law, when Moore’s cousin Murphy decided to jump in unannounced!. Despite putting fresh new batteries into the recorder shortly before the interview, they gave up the ghost, mid-session! 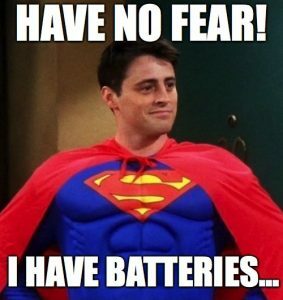 We also have another very special guest coming up in our next episode, so make sure to subscribe to the show using your favourite pod catcher of choice, and follow us at @OpenTechCast on Twitter! I’ll keep this post about vBlog 2017 very brief as you can see my thoughts on the subject of soliciting votes for awards in my post from 2015! 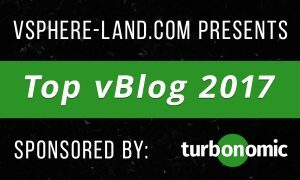 It’s that time of year again when Eric Siebert of vSphere Land and vLaunchpad runs his annual Top 100 vBlog nominations! There are a huge number of bloggers around the world producing great documentation and insight, as well as podcasters helping you pass your daily commute in a constructive and educational fashion! Eric’s awards give people the opportunity to recognise those who really stand out from the crowd, as well as more up and coming bloggers / podcasts. vBlog 2017 sounds great! How do I vote? I would encourage you to head over to Eric’s site and cast your votes; it only takes take a few seconds of your time to show some appreciation for the time and effort put in by those ladies and gentlemen who worked tirelessly throughout the year to help make all of our jobs that little bit easier.